My name is Jeff Young, and I have been a veterinarian for over twenty years. I have been on numerous humane society boards, have been an animal control officer, and I speak and consult on companion animal overpopulation issues all over the world. 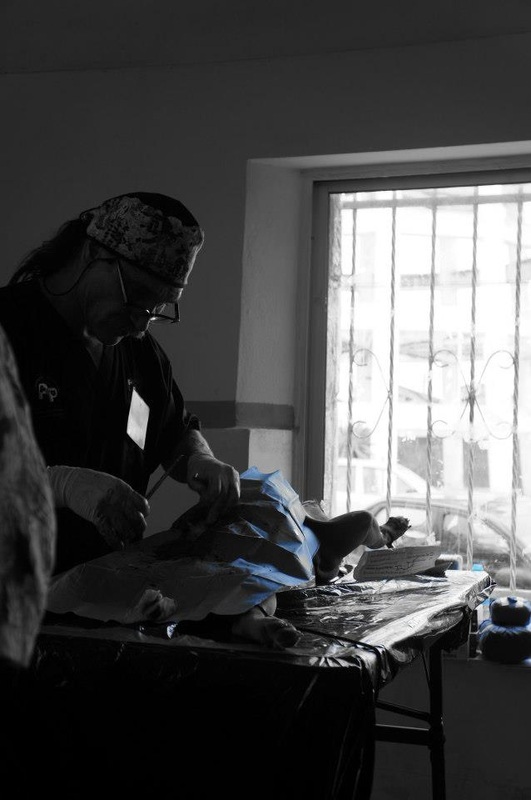 I have done over 165,000 surgeries in the last twenty years, and have established full service training hospitals in Bratislava, Slovakia and Merida, Mexico. I have trained over 300 veterinarians in efficient and safe surgical techniques. From the moment I graduated, I have had one simple goal: reduce the population of unwanted dogs and cats around the world. As a veterinarian, I found that I could do so simply by providing and promoting low-cost spay/neuter. Over the last two decades, there has been some difference in overpopulation with the rise of educational groups like Spay USA, mobile spay/neuter clinics like the Montana Spay Neuter Task Force, and the construction of mega sterilization clinics like the Las Vegas spay/neuter clinic. Each year, over a billion dogs and countless more cats all over the world killed, simply because they represent “surplus waste.” The number one cause of death for companion animals is still euthanasia. Large humane societies waste far too much money on housing of animals, expensive facilities, and elaborate salaries. They tend to be run like a for-profit business, on the other hand. Smaller rescue groups often lean toward the “animal collecting business” they often are poorly run and are set up by self gratifying little chieftains. Veterinarians don’t view overpopulation as something our profession needs to address. They treat a smaller percentage of companion animals in our society each year. They provide more complex, advanced, and expensive medicine to a shrinking percentage of financially affluent owners. The reality is, as our level of technology and medical knowledge increases, the number of animals that benefit from these advances decreases. There is little debate that animal laws, and public awareness, especially with regard to companion animals are changing. Twenty years ago it was estimated (grossly underestimated) that we were killing around 24 million dogs and cats per year in America. Now it is estimated (again grossly underestimated) that we are killing four to six million dogs and cats per year in America. - If all humane societies refused to take animals in for one month and send everyone over to local government facilities while demanding far more government help in the way of legislation, education, and establishing a true standard of care, things would change quickly -. For example, people move across town all the time, & just leave their cats - that is illegal, yet how many times has anyone ever been tracked down and prosecuted? Believe me when I say that any city could establish a dog/cat court, and it would in fact be a revenue generator if anyone is actually concerned or interested in pursuing the massive amount of neglect and cruelty. For the record the number 2 complaint to government agencies in most metropolitan areas involves animals. In my professional opinion, humane societies, animal rescue groups, and veterinarians cause more pain and suffering than they alleviate! Humane organizations play with words and statistics to make you feel better about overpopulation, euthanasia and shelters (animal warehouses). They make it appear they have done or are doing so much more than they really are. They boast that only 4 to 6 million animals are killed because of all their hard work. They contend only unadoptable animals are euthanized. Unadoptable means: broken leg, ringworm, bad upper-respiratory disease, urinary issues due to diet etc, etc, etc (easily treatable issues). Humane organizations have done a lot of great marketing to make so much, out of so little. They get rich while pretending they generally care about the plight of companion animals. The truth is that large shelters are simply a waste of money. I can’t argue they don’t do some good, but large shelters whether they are “kill” or “no-kill” are not cost effective for what society gets in return. I argue that euthanasia should never be accepted as a form of population control. It is simply not the solution. Don’t get me wrong, there are things far worse than death for a lot of animals. For example, being warehoused in a no-kill shelter can be far worse than death! I have never seen a no-kill shelter that wasn’t overtly practicing cruelty to animals or at best, neglectful in their care. 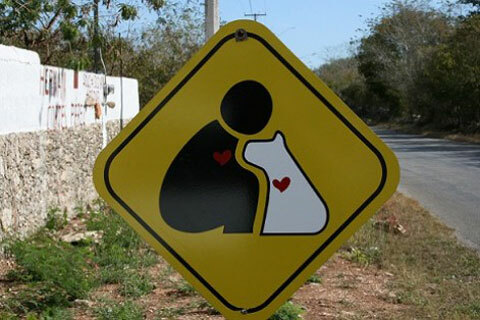 Yes, this includes the large no-kill shelters worth millions of dollars. It’s the humane organizations that I find that are the most hypocritical of all. To get totally radical, humane groups could literally take all their animals to animal control/government agencies or refuse to accept any new animals. This might force local officials and society to truly deal with the overpopulation problem. If humane groups are truly interested in solving overpopulation then their primary focus must be on spay/neuter. Even if that means doing it for free, and even if that means offending veterinarians. The secondary focus has to be education. Education not only means reaching out to schools, education means providing behavioral counseling and training classes to the public. Once again warehousing and adopting will never solve the overpopulation problem. I believe no-kill shelters are the most inhumane trend in animal welfare. This trend has allowed for the warehousing of sick and dying animals, while hording and collecting, have become the norm. No-kill does not mean you love animals, it means you love the idea of animals, you love the money it guarantees, and/or you love the idea of your great sacrifice for the animals. What a joke! The only sacrifice is the physical, psychological and general well being of the animals in your care. The saddest part is we live in the richest country on earth, yet I see a lot of countries that have already figured these things out. 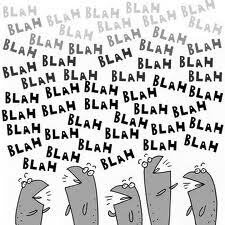 America is all about marketing and perception with less and less emphasis on facts and results. Once again, there are many things far worse than death. So, as you give your money, be sure you know what you are getting in return. Far more of you are contributing to the problem and not contributing to the solution. I don’t blame society in general but I most certainly blame the so called animal welfare movement and the veterinary profession, as they should be the true sentinels of animal welfare in America. They, we, and I have failed miserably with this task. However, it is never too late to correct the course we have chosen. It does take work, energy, and desire to make the right decisions and be willing to stand your ground. I implore anyone reading this to make a change and don’t give blindly. Give with conditions and give with true compassion. Give to make a real difference and stop buying into all the marketing in the animal community. Remember, while brick and mortar looks great it does nothing in the long run to truly solve the problems we have. Also remember that simply being alive does not imply quality of existence. Veterinarians contribute to companion animal suffering with their hypercritical opinions regarding the value of companion animals, and their innate ability to routinely rationalize $3,000 - $5,000 for procedures that can easily be done for far less. Okay, so it’s the American way, we’re all about market forces. Veterinarians can’t be “forced” to change what they do! Or better yet, veterinarians do not want to lower the “standard of care” to their beloved clients. Now that’s a good one! Let’s see, if you can’t afford a $3,000 surgery (say an exploratory for a foreign body) then we have to put your pet to sleep? Where did the value or compassion go? I’m not going to tell you about low-cost alternatives; I’m not going to lower my price for this single mom with two kids and a minimum wage job. Your animal is so valuable to veterinarians and their level of medicine is so high, its better just to kill your pet and get a new one? After all, new animals are a dime a dozen. You can argue that some people should not have animals, but they do. They probably should not have the children that they have either. The reality is people and dogs/cats have evolved together for thousands of years. There is great benefit to having companion animals both physically and mentally. Having raised three kids with a yellow lab I’m here to say that dog was very much a part of my family. I have always been able to make the distinction between humans and animals. But, I can’t say that all humans are better than that dog of mine. My dog had more to offer me and my little part of the world than a lot of humans in this world. We have come to identify “our pets” as part of the family and yes they are very important to our little worlds. So telling a poor person, an over extended person, a person of unfortunate circumstances, that it’s $3,000 or death to their family member just isn’t an ethical, a moral, or a compassionate option. If you look at the relatively new discipline of environmental socialism, it becomes very apparent that humans have an absolute need for nature, animals and compassionate human interaction. The only light I see in the veterinary industry is that we graduate more women than men these days, of course much to the dismay of all the old, fat, white guys in the three piece suits. These women are actually forcing compassionate changes in the industry. A lot of veterinarians want it both ways, they want to believe their time and skills are highly valuable, and that your companion animal is worthy of thousands of dollars of investment but – and a very big but; if I happen to malpractice or if you don’t have enough money then the value of the animal changes to virtually nothing. Clearly, value is not intrinsic to any given animal but solely based on the owners perception and financial abilities. There has never been a clear line in my mind when too much, is in fact, too much. There has always been a clear line in my mind that all companion animals have a true intrinsic value. If anyone believes most veterinarians are in fact veterinarians because they “love” animals or generally think about animal welfare on a level other than financial, then I am here to tell you that you are sadly mistaken. Having said all that, as a veterinarian, I can tell you in order to help others you have to own a successful business. Of course money is a factor in life, as are medical costs, educational costs and costs of running a business. Unfortunately, very few veterinarians are as well trained in business as they are in medicine. If animals were dying at the rate we euthanize them, the veterinary profession would be pouring tons of money and energy into research to solve the problem. Because veterinarians feel companion animal overpopulation is a societal issue, they can turn a blind eye. I submit that we as veterinarians are uniquely qualified to deal with this societal issue. I further submit that if we as a profession deal with companion animal overpopulation, we will elevate our status as professionals in our society. Being recognized both nationally and internationally for my work in the overpopulation debate, I promise never to waiver in my commitment to reduce the number of unwanted companion animals worldwide. I will never accept euthanasia as a form of population control. I will never support no-kill shelters in any way. I will never support kill shelters, unless they spend more money on spay/neuter and education than they do on sheltering. We cannot adopt, shelter, warehouse or kill our way out of companion animal overpopulation. We can demand and change what we do, whom we support and how we support them. If veterinarians really want animals to be more valuable in our society then, I submit, reducing the surplus of bodies will help accomplish this. If the supply goes down and demand is the same then value increases, pretty basic economics. Thus, if you don’t do it for humane or ethical reasons then you can obviously do it for long term monetary benefit. I will continue to train vets from all over the world in safe, fast, efficient spay/neuter techniques. I will continue to build clinics in other countries to use as training centers. I will continue to spay and neuter every companion animal that passes through my doors. Not the smallest of birds shall fall from the sky that the father does not know. We have a moral and ethical contract with our companion animal friends that we need to uphold in a more ethical way.